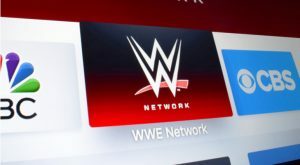 WWE stock saw a small dip on Tuesday following the airing of last night’s WWE Raw and reactions to it. Last night’s WWE Raw saw many big names come together to enter the ring and trade blows, both verbal and physical. Reaction to the event was strong, but maybe not in the best of ways for World Wrestling Entertainment (NYSE:WWE). The biggest takeaway from the event is that WWE is continuing to rely on its older performers to keep its event lively. This includes bringing back legends such as The Undertaker, Triple H and Brock Lesnar. Bringing back old heroes every now and then can be good for the ratings, but there are fears that the wrestling company is relying too heavily on these older names. That could be bad news for WWE stock if fan interest wanes when these wrestlers leave the ring for good, reports Forbes. The other bit of controversy coming out of last night’s WWE Raw was the riling up of the crowd by Elias and Kevin Owens. The two wrestlers started poking fun at the citizens of Seattle and the loss of their basketball team, the SuperSonics. A little bit of teasing the crowd goes well with wrestling. It gets the emotions high and brings some extra energy to the matches. However, yesterday’s taunting may have gone a little too far. The crowd continued to boo the two wrestlers well after their jokes were made. This hampered their ability to promote their upcoming match this weekend, notes Deadspin. WWE stock was down 1% as of Tuesday afternoon. Article printed from InvestorPlace Media, https://investorplace.com/2018/10/why-wwe-stock-is-falling-today/.